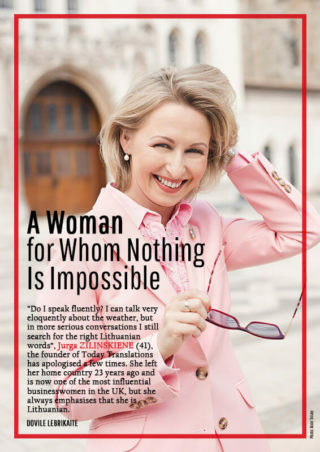 Jurga Zilinskiene, the CEO and Founder of Today Translations, has been featured in the Lithuanian magazine Žmonės. In an interview with Dovilė Lebrikaitė, Editor of Žmonės UK, Jurga discussed her first impressions of the United Kingdom when she arrived in 1995 and the success of the company she founded. In a wide-ranging interview Jurga shared her thoughts on work-life balance, the headlines made by Today Translations’ recruitment of an emoji translator, and even her love of tweed. Today Translations is a global language service provider. Founded in 2001, we provide a range of consultative and advisory services to a diverse client base internationally.